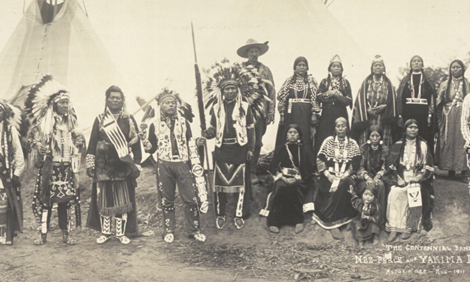 Nez Perce and Yakima Indians gathered in Astoria, Oregon, in 1911. November is National American Indian Heritage Month. President George H. W. Bush first declared it in 1990. The month honors and celebrates the cultures of American Indians, or Native Americans, and Alaska Natives. Since President Bush’s declaration in 1990, every United States President has released a proclamation each year declaring November to be American Indian Heritage Month. The idea for American Indian Heritage Month began in the early 1900s. Several American Indian leaders worked to have a special day set aside each year to honor their peoples. New York was the first state to have such a day. In May 1916, the governor of New York declared the second Saturday in May to be American Indian Day. Illinois and other states soon declared their own American Indian days. After the establishment of Black History Month in 1976, some American Indian leaders began working toward the idea of having a heritage month for American Indians. The purpose of American Indian Heritage Month is to recognize the important role that American Indians have played in U.S. history. It is also a time to acknowledge the injustices that American Indians have suffered. In addition, it is an opportunity to look at the challenges that American Indians still face, and how those challenges can be overcome. Image Credit: Library of Congress, Prints & Photographs Division, Washington D.C. Which state was first to establish a day to honor American Indians? When was National American Indian Heritage Month first declared?